Are You Living Within Your Means? — D.R.E.A.M. “I can’t afford this but I really want it!” How many of us have this conversation with ourselves far too often? We live in a culture of hyper-spending and minimal saving. (And don’t forget about the Jones’ we try to keep up with) America has a negative savings rate, meaning we spend more money than we earn and use debt to fund our lifestyles. In essence, we live at the mercy of our credit cards. But in recent years, many of us have had to learn the hard way, there always comes a time when debt catches up with us. 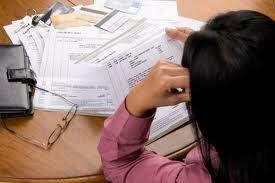 A good way to avoid debt overload is to live within your means. Simply put, you purchase things you can afford based on your current income. 1. Living Paycheck-to-Paycheck – Are you scrambling for cash at the end of the month? Do you find yourself “borrowing” money from your savings account or charging things on your credit card because you don’t have enough cash? Living paycheck-to-paycheck is a good warning sign that you are living outside of your means. Take a moment, sit down and write out your income and expenses for the month. 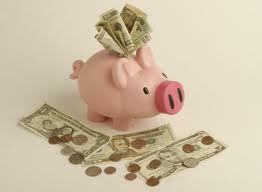 Secondly, create a budget (make sure to include setting money aside for savings in your budget!). Thirdly, identify which of your potential purchases are needs (items that are essential in your daily life) vs. wants (things that would be nice to have, but you don’t really need). Purchase your “needs” primarily and then review your budget and see if there is any extra cash for your "wants". Take this list with you wherever you go and refer to it daily to ensure all of your purchases are within your budget. 2. Credit Card Debt – Check your wallet or purse, how many credit cards do you have? How many of those cards are department store credit cards (Macy’s, Saks Fifth Avenue, Victoria Secrets etc.)? How many of those cards are near their credit limit or “maxed out”? Do you use your credit card every time you don’t have the cash to make a purchase? If you have more than two credit cards, you have too many. Department store credits should be avoided since they tend to have high APR’s. If you are currently knee-deep in credit card debt, sit down and create a plan to work your way out. Start by paying more than the monthly minimum and make sure you pay on time each month. (And of course, STOP using those cards) Read this excellent get-out-of-debt checklist published by Black Enterprise. 3. No “Rainy Day” Fund – Do you have a savings account set-up for an unexpected situation? Unexpected situations, like a job loss, can happen at any time in a fragile economy like this one. Every individual should be prepared and have enough money saved to cover at least nine to twelve months of their current expenses. If you don’t have a savings account, start today. 4. 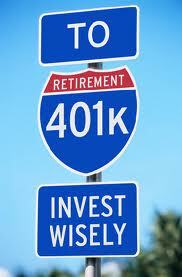 No Retirement Savings – Are you participating in your company’s 401k plan? Do you have a Roth IRA account? If you answered “no” to both, then you have some work to do. Retirement may seem far away but it will come sooner than you think. You are losing valuable time to adequately save for your “golden years”. Unless you work for a company that offers a pension plan, your retirement savings are your responsibility. Don’t wait until it’s too late and it’s never too early to get started. Click here and get step-by-step instructions on how to start saving for your retirement. 5. Pay Full Price for Everything – For some people, searching for a discount, sale, or coupon takes too much time and energyand it often causes you to wait for items you want to purchase today. Needless to say, it can test your patience. For us savvy consumers, we know finding deals is the only way to shop! There is nothing better than paying less for something that costs more. 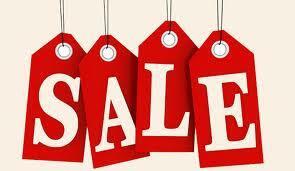 Take advantage of sales, coupons, and discounts it will help you save lots of cash. Believe me, you don’t receive any “cool points” for paying full price for an item that you could have waited a few weeks for and gotten for 30% cheaper. Shop smart! We seem to confuse our “needs” with our “wants”. I often hear people say they must have the latest Apple gadget (even though a new version comes out every six months). Although, it’s always nice to treat yourself to nice to things, you have to make sure this is done in moderation, within your budget, and in-line with your overall financial goals. Use our 10 Commandments of Financial Empowerment as a guide on your financial journey. Just remember, if you live within your means now and save diligently, you too, can one day live the luxurious lifestyle you have always wanted. And until then follow my “5 Ways to Fake It Til You Make It”! Thank you for reading.